We love what we do, we love where we live, and we love serving our beautiful Santa Barbara community. 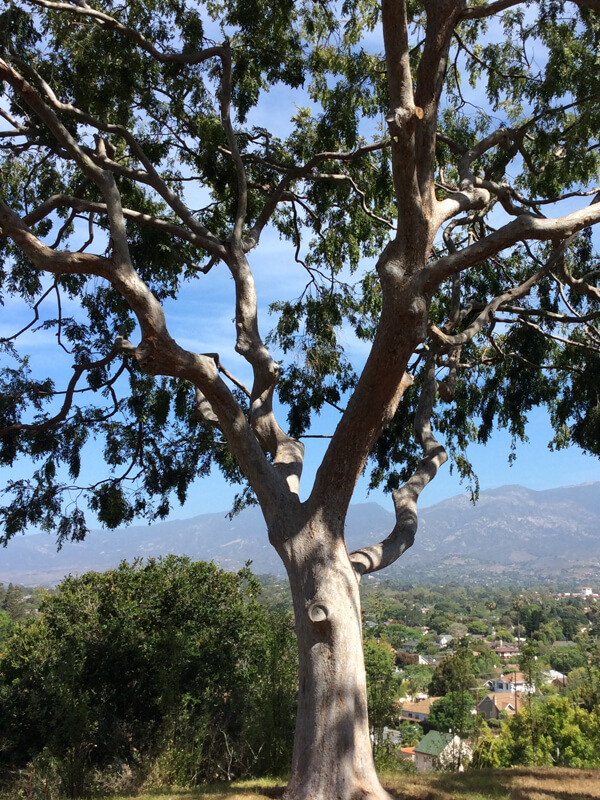 Give us a call at (805) 966-0975 or click here to get in touch with our local tree specialist. It seems that Southern California is always under threat of wild fire; especially in the summer. Although we can not prevent a wildfire from making its way toward your property, we can increase your property’s fire resistance. Our first course of action is to address your property’s defensible space, reducing the risk of spreading fire from the surroundings to your home and other structures. By clearing a zone from 30 to 100+ feet, The Beaver Tree Company, Inc., increases the protection of your home and provides firefighters a more convenient means of access and a safer area to defend. Beyond the measures of defensible space, pruning, thinning, and brush chipping are also highly recommended. Pruning and thinning remove the lower tree limbs, increasing the overall height of the tree’s crown base. An ideal tree base is approximately 10 feet, though pruning even higher is advisable to keep brush and any low lying branches farther from the ground. Brush Chipping is also considered highly effective against wild fires, especially within a home’s defensible space. Due to its labor intensive properties, we strongly recommend the use of our services. Not only does The Beaver Tree Company, Inc. have a certified arborist on staff, we also have large chippers that can significantly process brush material more efficiently. Once the brush chipping is scattered, the material decomposes and vital nutrients are returned to the soil. To learn more about how an ISA Certified Arborist can help you maintain your trees’ health, call Autumn Fish at (805) 966-0975 or click here to send him a message.